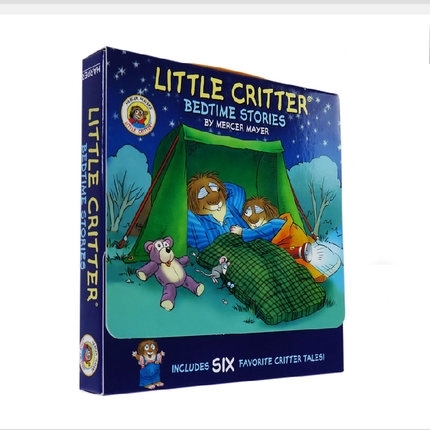 Perfect for bedtime, this Little Critter box set contains six 8x8 storybooks to enjoy. With a carry-along handle, Velcro closure, one sheet of stickers, and a poster, this set makes a perfect gift for Little Critter fans. Mercer Mayer is the creator of the enduringly popular Little Critter books. Drawing from his own childhood adventures for inspiration, Mayer has created a beloved and classic character in Little Critter.